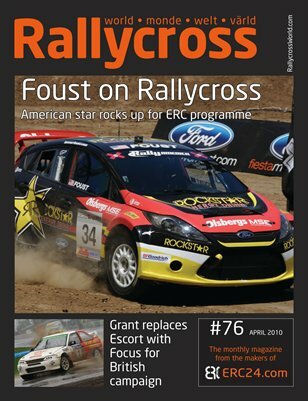 April issue of Rallycross World brings you a full interview with Tanner Foust ahead of his great Euroipean adventure. We also look at the increased TV coverage of the British championship, Andy Grant's switch to the Will Gollop/Andrew Jordan Ford Focus and lift the lid on one man's move from spectator to racer with the RX150 class. All this and the essential Rallycross World diary rounding up the crucial news of the last month.